Most Beavers have been provided with a pocketful of badges and crests over the past couple of weeks or so. 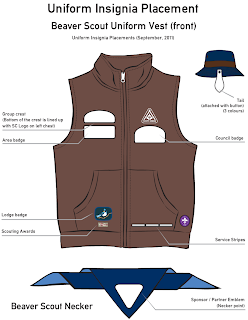 This post will provide you with a guide as to what goes where on our uniform. The only difference that you will find, is that our Group (1st Manotick) and Area (Rideau) crests, are a different size and shape. They are also not iron-on either, so you have to sew them on. If you were unaware, all Scouts Canada uniforms were refreshed last year. Badges are being refreshed too, and soon all badges will be new style iron on ones. For now these two badges are still old school sew on ones. What about other ones, like Apple Day badges? These badges are not part of the uniform and do not have an official placement. If you do want to sew them on somewhere, go ahead and use the back of the vest. Some of our beavers have some awesome collections sewn on the back of their uniforms. 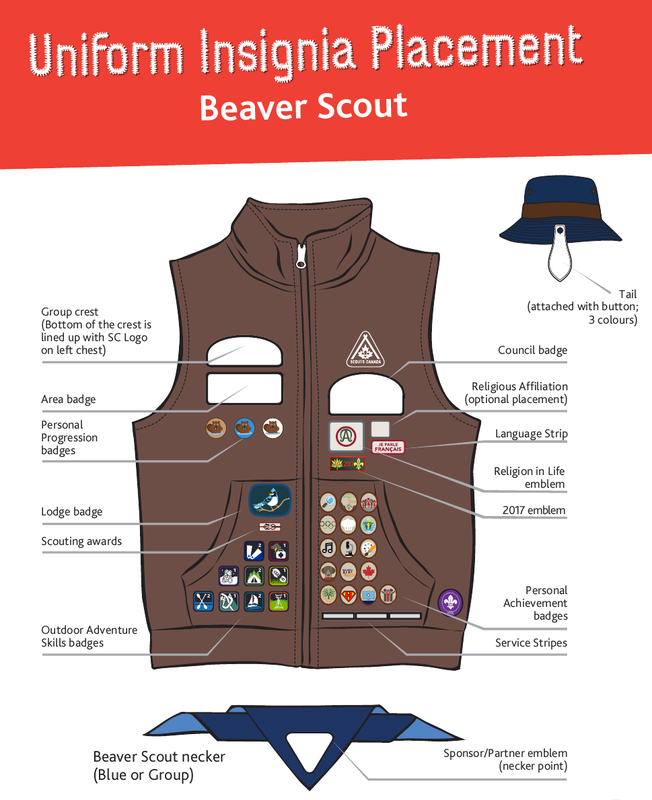 Instead of the uniform, I would recommend sewing them onto a Campfire Blanket this way your scouter can collect memories for many years as they move from Beavers, to Cubs and beyond.